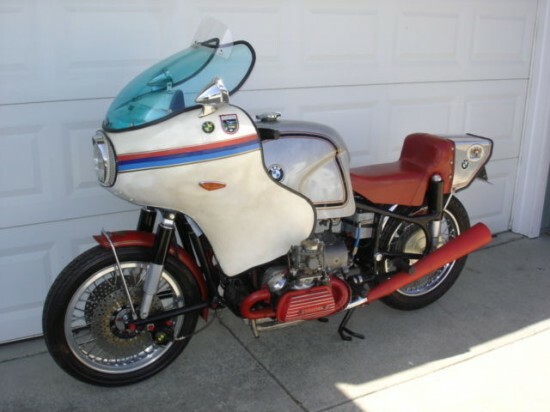 We had just highlighted a Velocette which had an engine transplant, but this 1967 BMW/VW is something totally different. 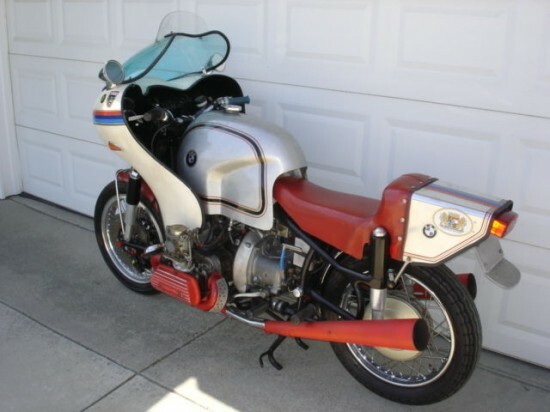 THIS BIKE WAS PURCHASED BY THE PREVIOUS OWNER AT BOB BROWNS “BMW OF POMONA” IN CA WHO SOLD KITS FOR CONVERSIONS IN THE EARLY 1970’s. 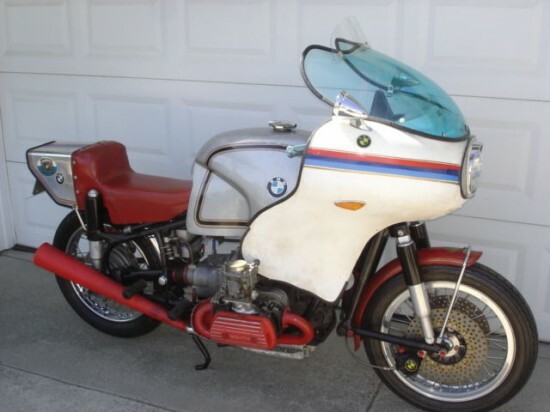 TITLED AS A 1967 BMW. TWIN DISC’S BRAKES UP FRONT. ALUMINUM HAND MADE TAIL SECTION. The seller points out that this type of conversion was common in the 1960’s and 1970’s. 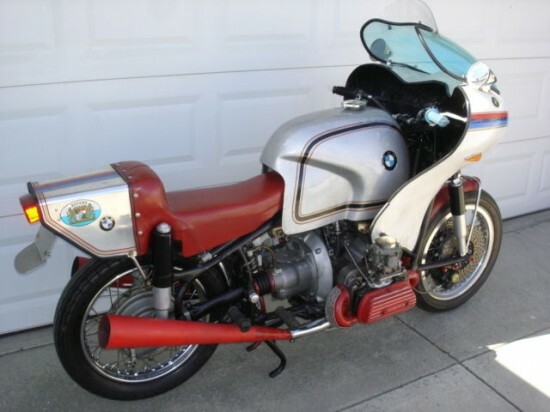 The idea was to get an inexpensive engine, with cheap replacement parts, and add it to a expensive BMW and pull a sidecar. Maybe a little overkill on the power, but it was done. There are still on-line communities that would be able to help with any problems that may arise with your new motorcycle. BIKES CONDITION? PER THE PREVIOUS OWNER WHO SAID HE REBUILT IT YEARS AGO (I HAVE NEVER TRIED TO START THIS BIKE) I CAN ONLY TELL YOU HE SAID THE CLUTCH WAS NEW WHEN HE PUT THE MOTOR IN AND THE TRANS WAS IN EXCELLENT SHAPE? THE MOTOR IS SUPPOSE TO OF HAD NEW BEARINGS, CAM, VALVE TRAIN. I BELIEVED HIM. BUT I CAN NOT VERIFY THIS INFO SINCE IT HAS NOT BEEN RUN OR LOOKED INTO. MILEAGE SHOWS 1,691. I WOULD ASSUME THAT MEANS 101,691. THE FUEL TANK IS A FIBERGLASS 10 GALLON THAT IS NOT SECURELY MOUNTED. THIS IS A BIKE YOU WILL NEED TO MAKE ROAD WORTHY WITH VERY LITTLE EFFORT. This bike is halfway to Bosoland – raise up the fairing about 4″, and voilá, you’re big in Japan. I actually kind of love it. I see that now that you point it out.